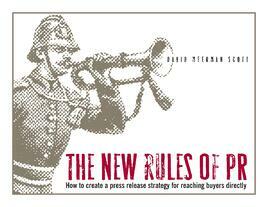 The internet has changed the rules for press releases, and you must transform your releases to make the most of the Web-enabled marketplace of ideas. Because the rules for relating to the public have changed so slowly over the past ten years, practitioners who learned based on the old rules have been equally slow to change. In fact, most old-school experts have refused to change altogether. It is time to step it up and consider the promise Web 2.0 public relations holds.